Those evil humans are at it again and must be stopped. It’s time to save the endangered animals, and who else better to do it than a massive Godzilla-sized octopus. 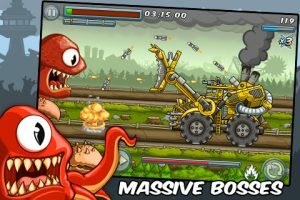 Developed by GlitchSoft, Destructopus! 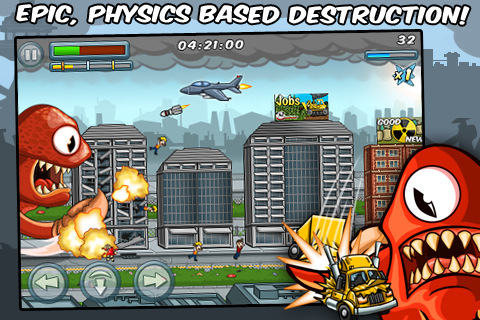 is a newly released action-arcade game for iOS. 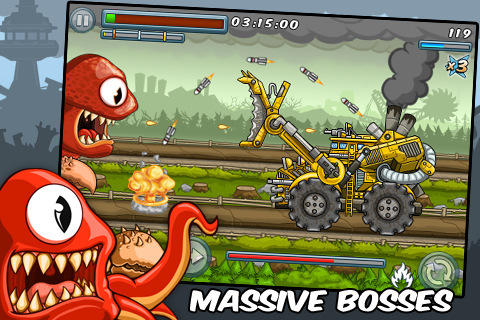 A side-scroller, with slick retro-style visuals featuring a giant tentacled sea-monster from the deep, Destructopus! is both addictive and challenging. The game is easy to pick-up-and-play, with simple controls. 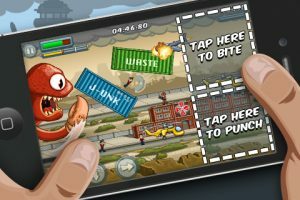 You tap the buttons on the left of the screen to move and duck, while the right of the screen is divided into two areas – one for a bite attack, one for a punch. 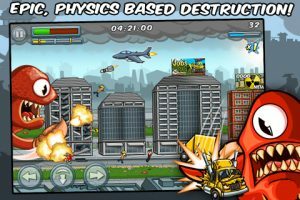 As you move through each level you simply use your attacks to take out targets, identified by red crosses on the screen. You receive bonuses for combos, as well as score bonuses for time and health at the end of each round. Destructopus! 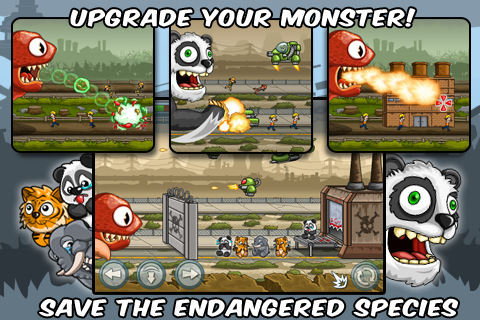 features 25 different enemy types, as well as a number of attack upgrades you can purchase in the shop, including ‘flame breath’, ‘laser’ and ‘sinister spit’. Some upgrades can be purchased using game points, while others are an in-app purchase that cost real money. One such purchase allows you to play as a very large, very angry Panda. Overall, Destructopus! is a very solid offering from GlitchSoft, and an easy time-waster at just $0.99 – just be aware that extra purchases are required if you want to access all the features of the game.